A lack of motivation isn’t the only thing that holds people back from hitting the gym and getting in some much-needed vigorous exercise. All too often, fitness novices and even seasoned gym goers complain about constant muscle soreness, making it difficult and painful to even crawl out of bed in the morning. Though important — and seemingly simple — there’s more to the recovery equation than rest to achieve your best. As Ohio’s best personal fitness trainers, Intelligent Fitness Personal Training is dedicated to your success as our hard-working client, including intelligent recovery from exercise. With gyms and personal training facilities being a dime-a-dozen these days, how can you go online, search something along the lines of “personal trainer near me,” and expect to find a local business that you can trust? More than ever before, it’s extremely important to find a friendly private fitness trainer who truly understands your needs, your background, your goals, and knows how to help you along your path to success. Call us biased, but we think that our gym in North Canton fits the bill. If you’re struggling with sore muscles after you exercise, you’re not alone! Check out our comprehensive approach to personal training, and read below as Intelligent Fitness Personal Training covers some important tips and tricks to help you wake up feeling ready to tackle the day…and your next workout! If your mind is racing at night when you finally hit the pillow, do whatever it takes to turn it off in order to fall asleep at a reasonable hour. Chronically-sleep deprived individuals typically experience prolonged muscle soreness. Not only are you off your feet and laying still in the comfort of your bed, but your body uses sleep as a time to heal, repair, and relieve overall soreness. Don’t hold yourself back from this valuable time! Of course, eating healthy and drinking plenty of fluids — namely, water — is good for the human health no matter how active you are. However, a deficiency in your potassium or protein levels will likely make your muscle soreness feel more intense and painful. If your body is yelling at you by having every possible muscle ache at once, maybe it’s time to listen and take a well-deserved day of rest. 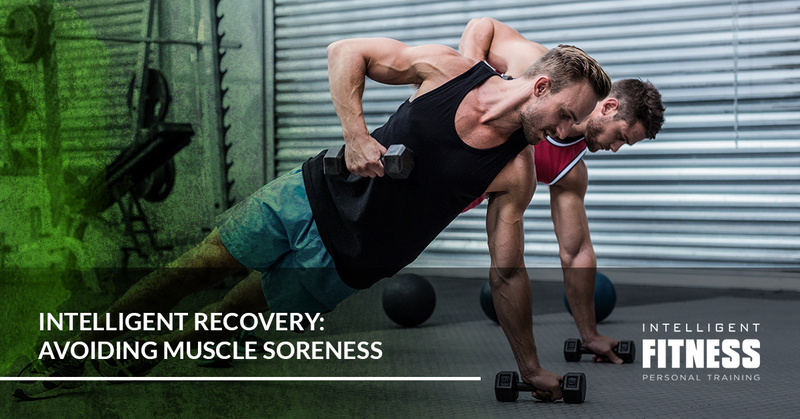 Muscle soreness tends to compound with repeated, day-to-day exercise, and though your body might get used to sore legs as a runner or sore arms as a weightlifter, pushing yourself too hard will result in negative consequences. Remember that taking time off to properly rest and recover is all a part of training! Using a foam roller or dedicated muscle roller can do wonders to stimulate blood flow to the affected areas of your body, encouraging faster recovery times and a genuine sense of relief. It might feel a little uncomfortable at first, but in the end, you’ll feel much better. Scientifically-proven to help shorten the duration and overall intensity of muscle soreness, this friendly amino acid is worth keeping in mind. Fairly inexpensive in price, athletes generally recommend taking L-glutamine before and after you exercise for optimal results. In terms of easy (and natural) ways to keep your muscles feeling good, it’s hard to beat this simple option. Icing your body, alternating with heat pads, eating the right foods, and getting optimal amounts of rest can go a long way in mitigating muscle soreness. However, if you’re not exercising correctly and intelligently, then you’re only making things more difficult for yourself. For the very best “personal trainer near me” that you’ve been searching long and hard for, we’re proud to help our Greentown and North Canton communities. Discover how we can help you by reaching out to Intelligent Fitness Personal Training today! Learn More About Our Philosophy Here!